When Atlantic dreamed up the idea of a Packaging Solution Center, we knew it had to house larger-than-life testing equipment and that it had to match the sophistication of equipment that would be the first of its kind in the packaging industry. The Packaging Solution Center was conceived as a place where customers, consultants, engineers, and packaging specialists could meet to learn, test, and achieve success. We needed an architect and designer with vision for a center where style, experience, and functionality would all shine. We started our search locally in Charlotte and when we met with Tom Duzan from Redline and saw the work this group had done, especially on buildings with a focus on customer experience, we knew we had found our match. Throughout the process in working with this group, we’ve been so pleased with the interpretation of our concept. 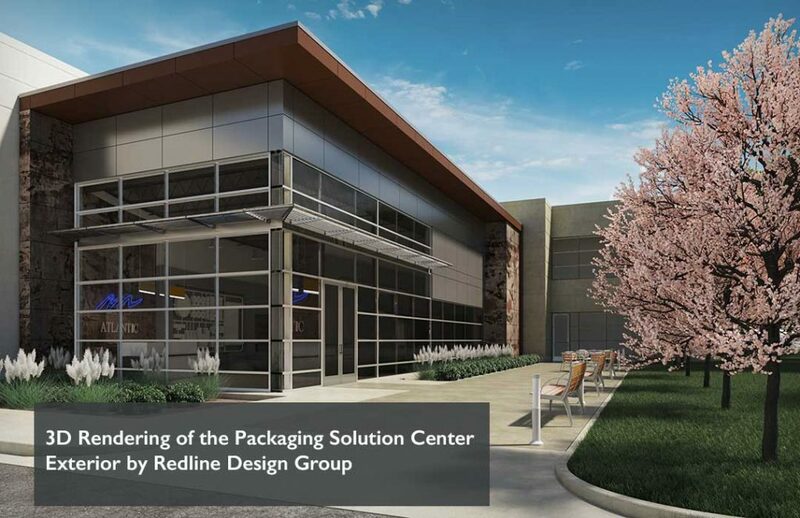 From floor plans and 3D renderings of the center, to resources on furniture, finishes and lighting, Redline has worked with us to create something from the ground-up that expresses our customer-focused approach and our vision for the future of packaging. This has been a wonderful collaboration and we look forward to putting all the pieces into place for the Grand Opening of the Packaging Solution Center.